Number One Systems training courses and services are designed to bring you the quickest productivity to your design tools. All courses are carefully constructed with specific 'themes' to enable you to choose the course that meets your requirements. Led by experienced industry specialists, each course will provide you with both product information and additional 'value-added' information that will aid your use of the tools. All our courses are available in our dedicated training facility here in Tewkesbury, Gloucestershire, or can be presented offsite at your own offices, or indeed at a local hotel near you if you prefer. All courses are run using the latest release of software although most functions can be applied to older versions of the application. All courses are presented with professionally printed training books for you to make your own notes and keep afterwards. During courses at our facility in Tewkesbury, tea, coffee and other refreshments are provided, as is a buffet lunch, all included in the course cost. For more information or to book a course, or to make an enquiry about a course customised for your needs, please contact Sales. As well as pre-set and custom training courses, we also offer a flexible Consultancy service. This course includes all steps for designing a printed circuit board (PCB) from inputting the concept into the Schematic editor, right through to the PCB layout stage and onto generating manufacturing plots. All basic tools used in these tasks are explored and discussed. New users to the product who want to accelerate their understanding of the tools available and when to use them. For more information or to book onto a course, please contact Sales. We can tailor courses to suit your own requirements. The course can be a blend of any of our standard courses together with topics of your own agenda. We find this particularly useful for customers who have specific design requirements or wish to work through topics of their own choosing. Perhaps an area of functionality is of trouble to you, Library Creation for example with custom footprints, or Hierarchy in Schematics, we can accommodate this with this course. An agenda is agreed before you attend to give our instructor time to prepare additional notes for you. For topics covered during the course but not previously documented, we will send you reference notes after the course has been completed so you have these at your office to use. Any user who has specific requirements or is tight for time and requires focused attention. This is a highly productive method of learning and can be very beneficial to you. Bring in your own designs and examples and show us the problems you are trying to solve, our instructor will guide you through this. This course will be run with one or more attendees. 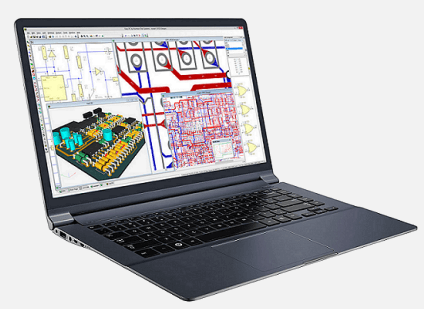 With a wealth of experience in the PCB design and manufacturing marketplace, we are able to offer a technical consultancy service on many aspects of design, manufacture and software development. Our service is also available for special unscheduled software projects for features or facilities not in your current product. We have already successfully developed some new facilities and converters for customers who have approached us through this service. With over 160 man years of software development experience we are able to offer many diverse solutions to problems which might arise. Please contact our sales team for more information or to discuss your requirements.